It’s a promise sounds too good to be true: free, unlimited texting to and from your iPhone. And even if a service did manage to offer it, it certainly couldn’t be sustainable, could it? Pinger, a startup that launched back in 2006 as a voicemail service but has since pivoted in a big way, would beg to differ: the company has managed to become immensely popular on the iPhone by offering free text messages to users through an application called Textfree. 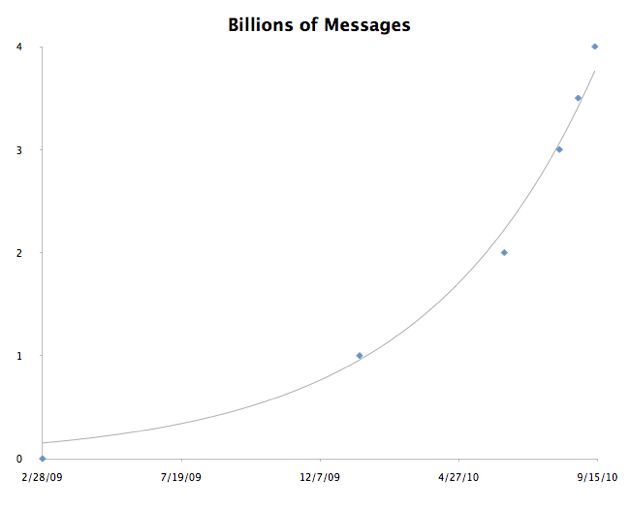 And it’s just blown past another major milestone: users have sent 3.5 billion text messages using Textfree since it launched in March 2009. So how do the do it? The key, unsurprisingly, is ads. Textfree has gotten such massive distribution that it can now turn a profit by placing ads in the application (the company has been profitable since December). Textfree doesn’t insert ads into your conversations — rather, it shows basic display ads which get 1.4 billion ad impressions a month. The application has been downloaded 7 million times which gives you an idea of its reach, but it’s also extremely engaging: users open it an average of ten times a day. 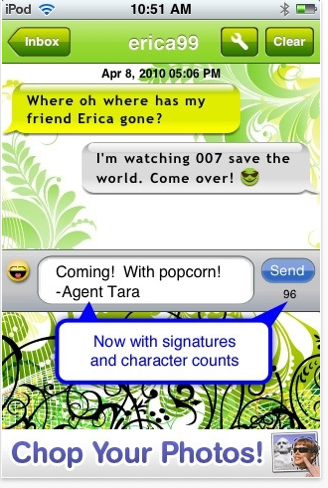 Using Textfree isn’t quite as straightforward as ‘normal’ text messaging, but users don’t seem to mind. The service assigns each user a new telephone number, free of charge. From then on you can text as much as you’d like, and can receive inbound texts that are sent to this special Textfree number. This can obviously be slightly irritating if you already have a phone number (i.e. on an iPhone), but remember, there are millions of devices running iOS that don’t have phone service, namely the iPod Touch. And Textfree gives all of those users the ability to text as much as they’d like, provided they have a Wifi connection. 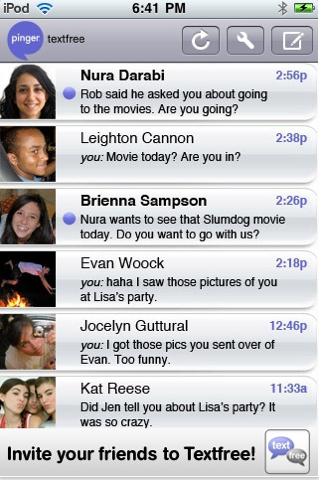 The iPod Touch has proven to be Textfree’s bread-and-butter — 70% of its users are on the device. And Pinger says that carriers actually like their service, because it turns all of these iPod Touch users into extra nodes — they may be sending free text messages, but they’re certainly going to be sending and receiving messages from users who are on traditional carriers. Textfree originally launched last year as a premium application that would charge users $6 per year for unlimited texting. That proved to be quite popular, but Pinger found that it could do even better by shifting the app to a free model and relying exclusively on advertising to generate revenue.